With a spring in his step, Rock Creek junior high science teacher Michael Rottinghaus walked through the halls of the high school, greeting each student with a wave and a smile. It was August 16, 2017, the first day of school. Rottinghaus was not headed to the junior high end, though; instead, he was headed to the administrative office, to begin his new job as assistant principal/activities director. Rottinghaus applied for and received the job after Scott Harshbarger announced he accepted the job of principal at Westmoreland Elementary School. As many students and faculty are aware, Rottinghaus was a junior high science teacher from the fall of 2004 until the spring of 2017. From an outside perspective, the jump from being junior high teacher to assistant principal seems insurmountable. 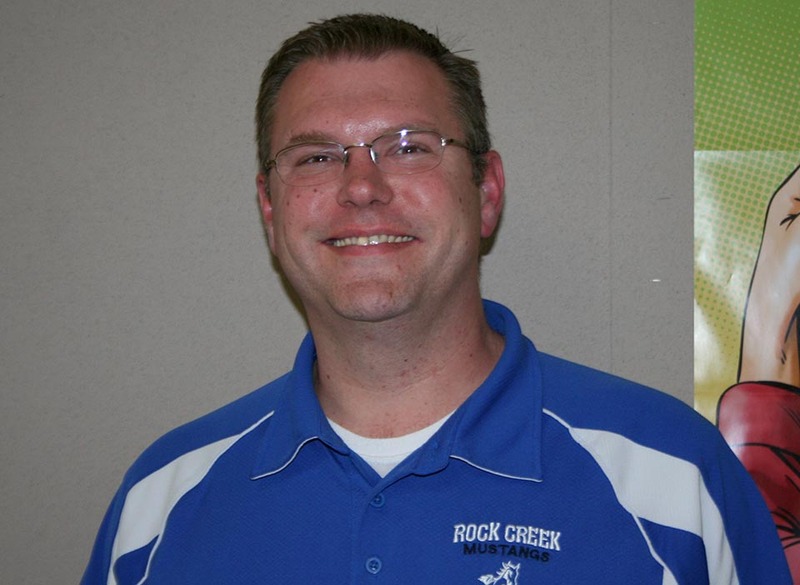 However, Rottinghaus has been around Rock Creek for awhile now, and he said feels like he knows the students and the system well enough to take on his new job as assistant principal. Rottinghaus does admit, though, that his new job gives him an interesting new perspective on students. Being a basketball coach and overall sports junkie, converting from coach to activities director would appear to be a simple task for Rottinghaus. While being a big basketball fan, Rottinghaus will have to get used to managing wrestling, cross country and other “foreign” sports (at least to him). “I didn’t know as much going into football and volleyball, as well as cross country, but I’m kind of learning as I go on those,” Rottinghaus said. With the new job, Rottinghaus dropped his position as assistant boys basketball coach and focused on his activities director job. While basketball will still go on without him, senior Derek Shaheen admits the team members will miss Rottinghaus. In addition to absorbing the job of activities director, Rottinghaus will also have to be close to principal Eric Koppes’ side in being the assistant principal. Rottinghaus’ relationship with Koppes has been strong ever since Koppes started in 2012, so he thinks they will get along well. Opposed to his activities director job, the job of assistant principal rather encompasses the well-being of students and student life on campus. Senior Martin Vogts agrees that Rottinghaus is a good fit for the assistant principal position. In the end, Rottinghaus has been enjoying his job and looks forward to holding the position for many years to come.